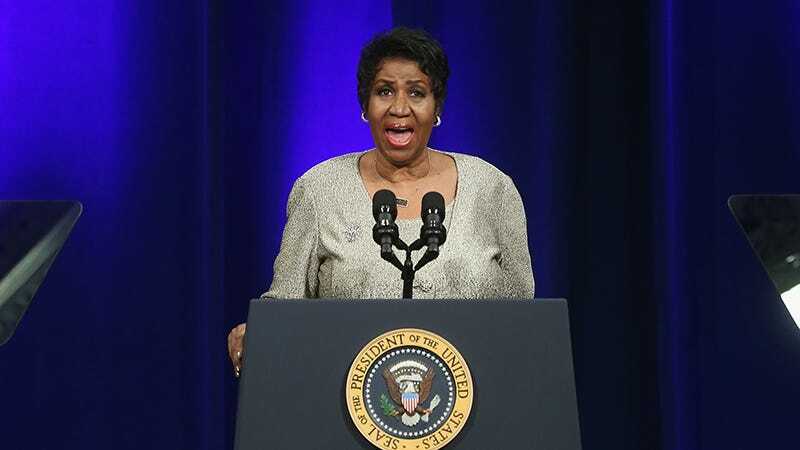 Aretha Franklin, living legend and Detroit resident, announced that she will be donating “50 hotel rooms nightly” to Flint residents affected by the city’s ongoing water crisis. In a interview with Tamron Hall Thursday afternoon, Franklin likened the situation to Katrina, calling it “just horrible” to see families holding up jars of “green and brown” water on television day after day. It’s my position that Detroiters have got to help Detroiters, and Flint is so close to Detroit I think it’s just regarded as being a part of Detroit. My contribution is to donate 50 rooms nightly at either the [Detroit] Holiday Inn Express or the Comfort Inn with — coupling it with a per diem, which is food and beverage at the Coney Island just next door where they really have good food, because I go in there a lot...My assistant is helping me to set that up. This means that sometime in the near future, while 50 hotel rooms Aretha Franklin paid for are filled with people escaping a preventable man-made disaster, she will dig through her purse for her address book, call Stevie Wonder, Berry Gordy, and Smokey Robinson up on her rotary phone, and tell each of them, “Hey, it’s me. Now listen, you’ve gotta take care of Flint. I bought some hotels and food, so do that if you want. But if you think of something else, do something else,” and hang up before they have time to respond.